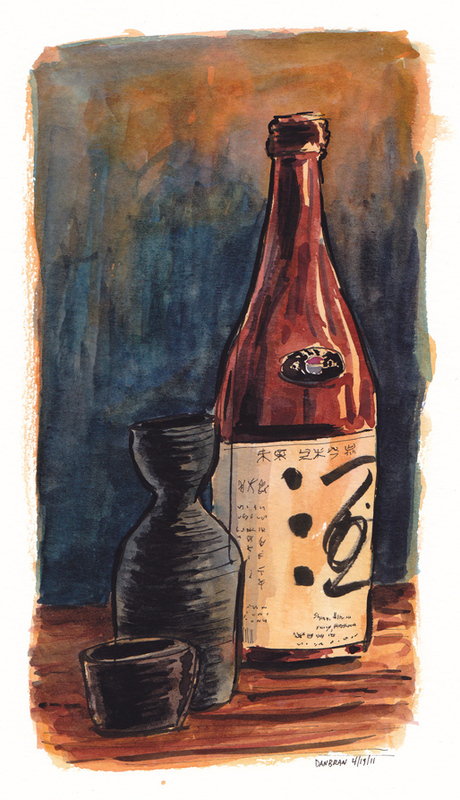 Tokkuri and sake bottle from Corkage. The tokkuri is a flask for sake, which can be heated in a pot of hot water. The narrow neck at the top prevents the heat from escaping.